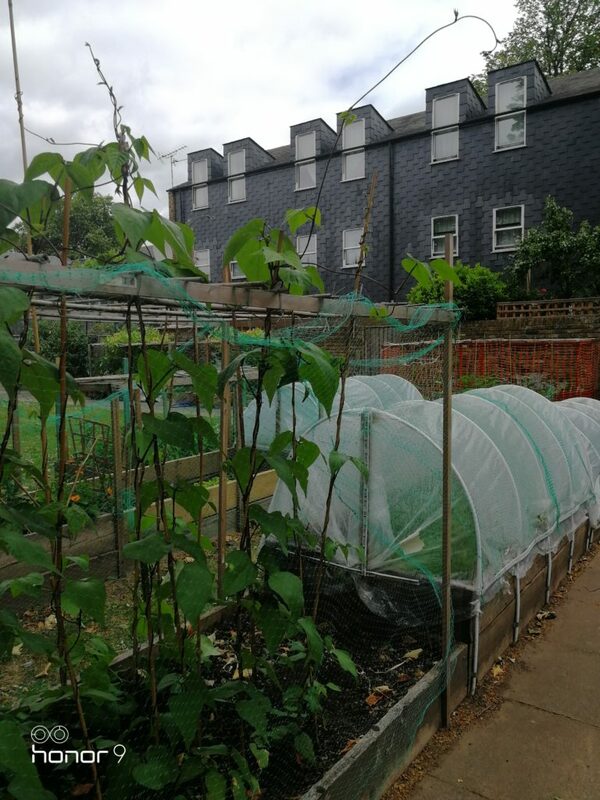 This is a small community garden of raised beds and mini allotment, incorporating the already established work of residents who live in close proximity. This was a previously neglected community green space on Myatts Field South Estate which has come to life. We are currently a small number of growers but looking to expand both in our main location and to other locations on the estate with better organisation and funding.